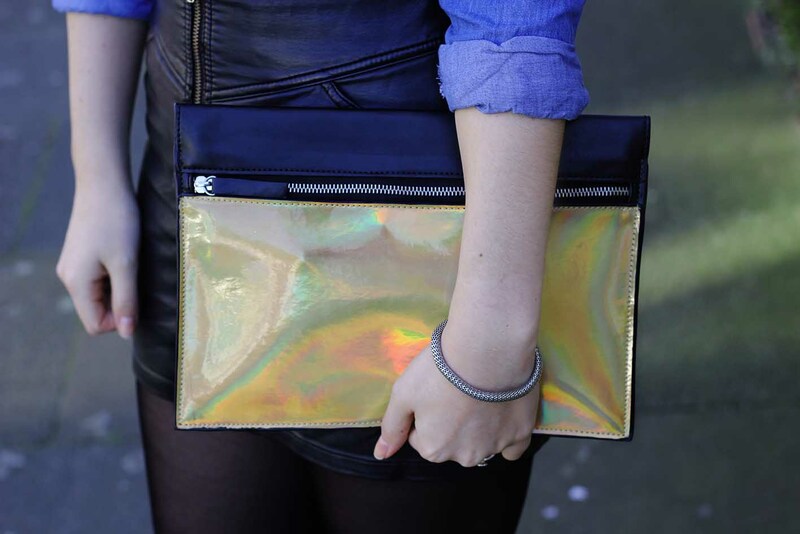 This weekend I took advantage of the lovely weather in London and finally shot a blog post. When you’re working full time, so much planning goes into shooting an outfit post. I'm determined to make sure my blog still gets updated as I know a lot of people struggle with this when they start working full time. I'm just going to have to hope that the weather is good for me every weekend from now on! Which brings me on to a bit of exciting news, after months of interning I finally have a job! I'm the new marketing assistant at Biscuiteers, so expect to hear a lot about them on my blog from now on. I'm thinking about writing a post on 'life after uni', as I think it's something people worry about during their final months, I know I did. Anyway, for those of you wondering Biscuiteers is a London based company who basically create & ice really amazing biscuits. I recently attended one of their icing late classes, which was such good fun and I would highly recommend if you’re ever around Clapham or Notting Hill area. Now I'm fully aware that this outfit looks very similar to one I did about a year ago. 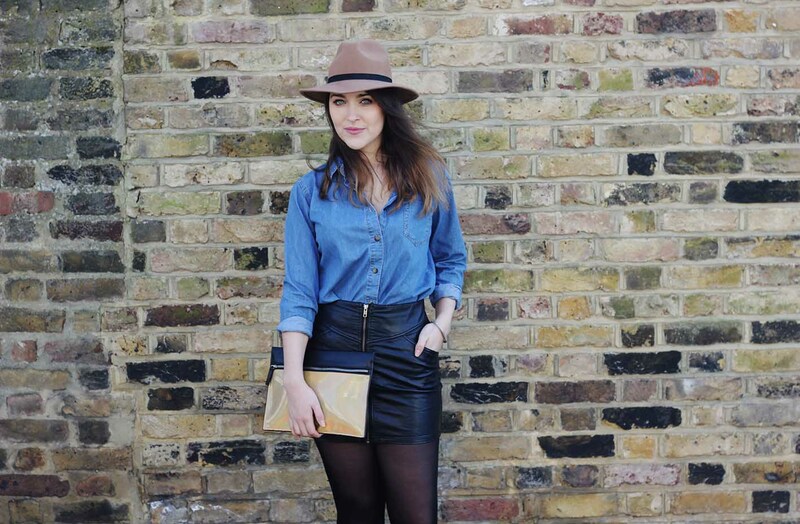 However just by putting a denim shirt, a leather skirt, heeled boots and a fedora together can really make you look much more ‘stylish’ very quickly and easily. So if you’re ever stuck on what to wear and want to look like you've spent a fair amount of time getting ready, throw these two things on and you’ll be good to go. This look is something I'd definitely wear a lot this spring, as the fedora prevents your head from getting too chilly, although mine always blows away in the wind! This happened to me rather embarrassingly before going to a talk at LFW. Love the look so much ! That hat is so gorgeous ! This is so gorgeous! I love how the bold skirt goes so well with the casual denim top. I have a strange question-- if you studied marketing in uni, what kind of previous education did you need? I'm struggling to pick between a literary or economic and social path, and I have to choose (for my last two years of high school)... So I'm especially wondering if you needed economics and math to get in. Thank you in advance! Thankyou! I didn't actually study marketing at university, I did photography. I'd recommend doing what ever you enjoy the most. No one on my marketing team did marketing at uni so don't worry! 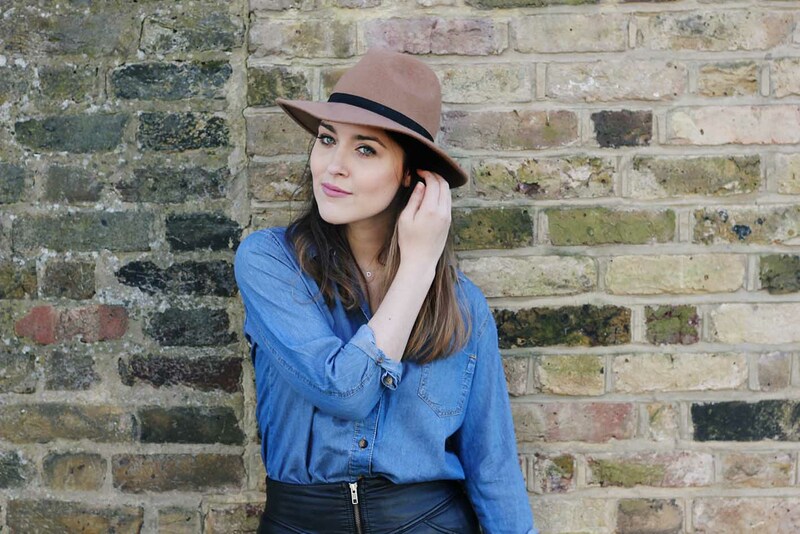 Love this look on you, especially the hat, it suits your complexion perfectly! It's honestly one of my favourite combinations! I just love denim and leather together.